Guilin. A city of wonder, a tourist destination known round the world, a location so important that Richard Nixon, during his much renowned visit to China that symbolically shattered the boundaries between the US and Asia’s largest nation, said “Guilin is a bright pearl set on the vast land of China.” This city is known for its scenery, the mountains of which served as the motivating force behind seminal works of Chinese art. We only had 24 hours in this city, and we resolved to make the best of it. Tired after the night bus. Our main stop was Elephant Hill Park (象山公园), where the hill had been shaped by the forces of nature into an impressive feature resembling, you guessed it, an elephant. The park is nice and has a few paths where guests can walk if they want to stretch their legs and do something besides take cool pictures. Adrianna and I took the pictures first, then took a hike along the paths covering the hill, peeking through Water Moon Cave before climbing up to the hole known as the Elephant’s Eye (so named due to its position in respect to the rest of the elephantine rock structure). We even climbed to the top, where we found a breathtaking view, from which we saw some of the scope of Guilin’s majesty and a few of the further scenic spots we wouldn’t be able to visit (specifically, Tunnel Hill, and Tunnel Hill Park 穿山公园). After taking our time at Elephant Hill, we decided we would take a simple walk around the city. 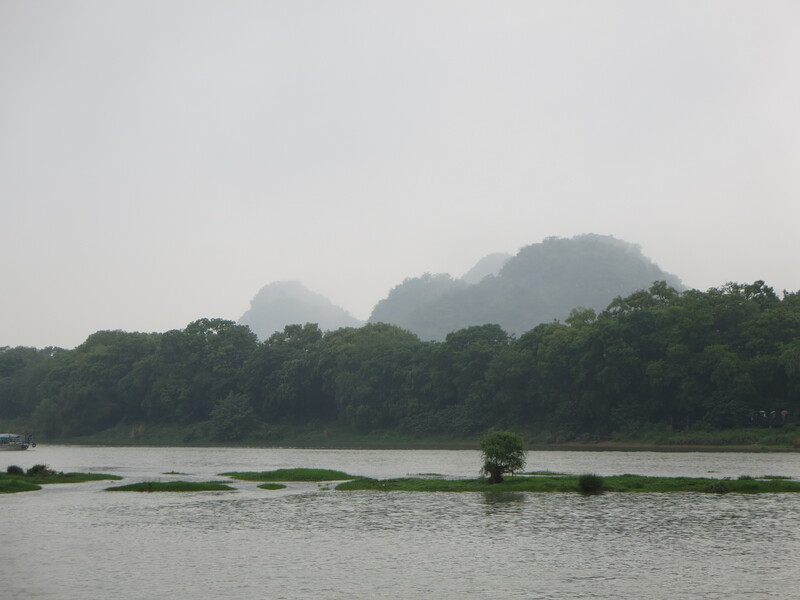 If there’s one thing that makes Guilin different from Shenzhen, it’s the greenery. Shenzhen is very much a developing city. It’s carpeted in construction, and man-made monstrosities dominate the landscape. 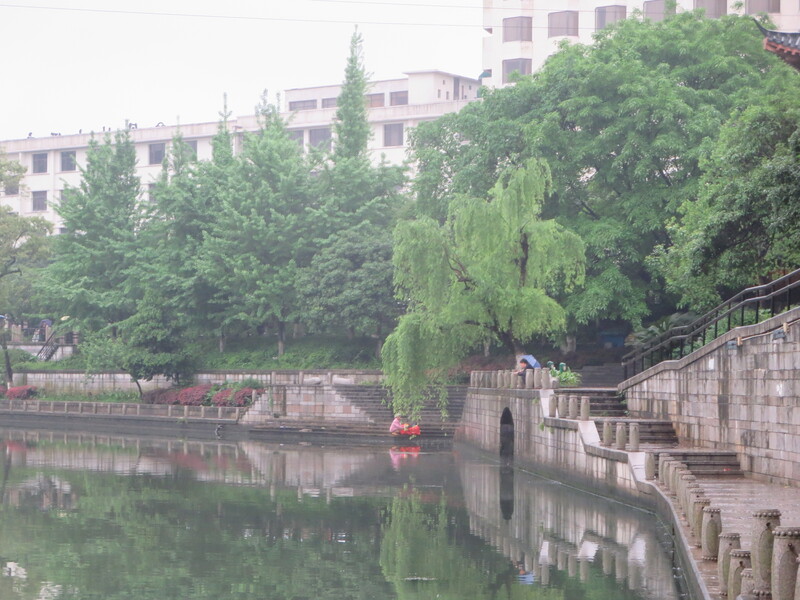 Guilin’s history shows in the trees, young and old, that are nearly everywhere in the city. Shenzhen is something of a pavement paradise, while Guilin’s streets are often bordered by spots of green. It is nice to be able to move through nature, even in the controlled state it is found here, without fleeing to the countryside. We walked around for two or three hours before stopping to eat in a nice restaurant along our path. 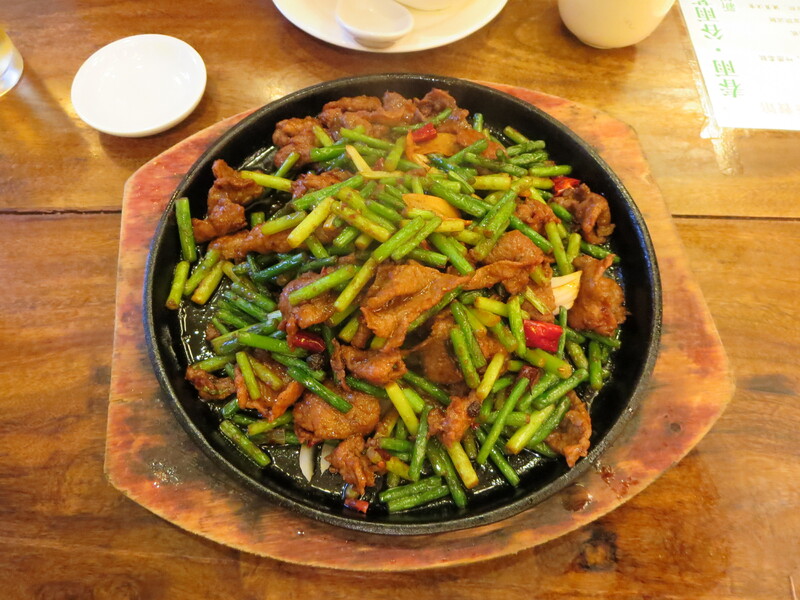 We were famished, and one of the dishes, beef with green peppers on an iron plate (青椒牛肉铁板), was fantastic. Covered in a seasoning reminiscent of cumin, this dish didn’t have a single element out of place, and sated the hunger we had developed on our day of perambulations. We ate, we drank, we were merry. After another short walk, we decided that the hotel was the place to be. We took a short break before heading back out, this time in search of some lively night time entertainment. In this aspect, Guilin left something to be desired. Our hotel was right next to a busy night market, which was nice, but nothing we haven’t seen before. We figured that, since this was a place full of late night business, surely there would be some late night revelry nearby. Alas, the closest thing we found was a pirate/anime themed restaurant that served a couple of “do-it-yourself” style foods. Hot pot we are familiar with, but paying to cook your own meat is a little dubious. We had some nice dark beer, boiled some food, and wisely chose to not eat some of the poorly cooked meat sticks that we had selected from the definitely contaminated food bar. 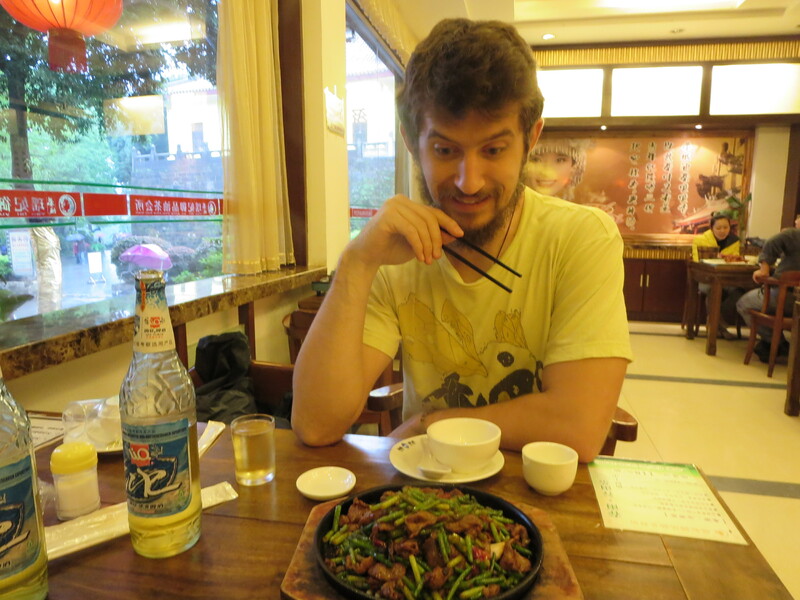 In the end we left feeling ambiguous towards this restaurant and Guilin’s night life. Unfortunately for Guilin, it would get no chance to alter this opinion, since we hopped on a bus the next day at 8:30, bound for a river tour and Yangshuo, a sister city only an hour or two away. We were optimistic early on. Discovering the hot plate doesn’t get hot enough to cook meat. Reblogged this on Foreign Exchange Headquarters.